If William Shakespeare hand made your bike today, would it look like this? The Princess Sovereign Bike by the Stratford-upon-Avon company, Pashley, is the “quintessential English town and country bicycle”. 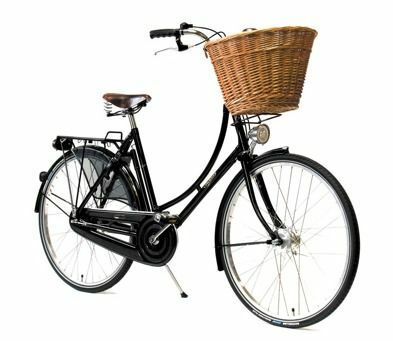 Thoughtful features include a skirt guard, leather saddle, full chaincase, puncture resistant tires, mudguards, and a kickstand. A cute wicker front basket completes the look.